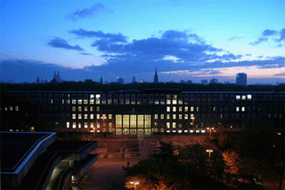 The University of Hamburg was established in 1919, having roots reaching back to the early 17th century. Initially, there were four schools, including Law and Political Science, Medicine, Philosophy and Natural Sciences. After nearly a century, the university now has over 15 departments and 4 noble prizewinners. Moreover, this year the newly established business school has approximately 40,000 students, with international students making up 10 percent of the student population. Following the trend of internationalization, the University of Hamburg currently has 265 partner schools and a total of 569 exchange programs. Partner schools include UC Berkeley, Fudan University in Shanghai, Copenhagen Business School in Denmark, and many more. In addition, the university has set up 29 English taught graduate programs for students who do not speak Dutch, with 9 programs related to business, management, economics, and other social sciences. 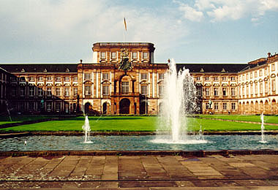 University of Mannheim was founded with its business school in 1907. It is the most representative business school in Germany because of its century long of culture and tradition, its rich experience in running a school, as well as its recent years of commitment in the internationalization of business education. Not only was the school highly placed at No. 10 in the Masters in Management Ranking 2008 by Financial Times, but it was also accredited by the high standards of the American AACSB (Association to Advance Collegiate Schools of Business ) and the European EQUIS (the European Quality Improvement System), rendering it the top business school in the European region. The university currently has 200 exchange programs with prestigious universities around the world, and each year, over 300 exchange students come to Mannheim to study. Nearby the school is the Center for European Economic Research (ZEW), fostering an international learning environment and enabling a global perspective for its students. 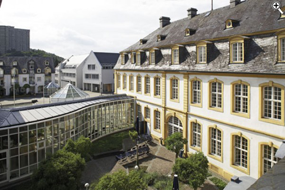 Established in 1971, the European Business School (European Business School International University Schloss Reichartshausen) was formally part of the EBS that consisted of four European Business Schools in England, Spain, France, and Ireland. The current EBS in Germany has seperated from the network and it is the first private university acknowledged by the German government. Since its establishment, the university boasts its elite business school and aims to cultivate new-generation business leaders in Germany, accentuating student entrepreneurship, advanced thinking and social awareness. Currently EBS has 150 partner schools around the globe and maintains partnerships with 200 well-known corporations. MBA courses are taught in 9 languages in the pursuit of accustoming students to the globalized business world. 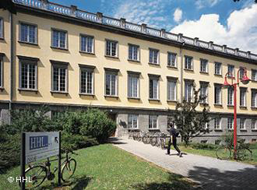 HHL-Leipzig Graduate School of Management was founded in 1898, as Germany's first business school at a university-level, and one of nations’ best business schools. The university has considerable international ambitions, as well as a strong belief in a more stringent business education standard. The “common philosophy” since the founding of the university, is still being implemented. Apart from academic education, the school also stresses the importance of personal characteristics development, in particularly, the school encourages originality, as well as thinking and acting responsibly. The school’s, MBA program focuses on cultivating outstanding international management talents, with its courses all taught in English, and fostering a daily environment for international management learning. Founded in the 1388, University of Cologne is fourth university with the longest history in the German-speaking region. 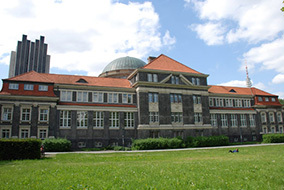 The school has long been concentrating in research and development, and enjoys a good reputation in particularly for its business education and research, and thereby taken on a number of research projects from the German Research Foundation and the European Union. In the area of industry-academia collaboration, over 250 institutions provided the school with resources for research, which promoted the development of the interdisciplinary research center, and supported the partnerships with international universities and businesses. In addition, the school has exerted great efforts in the internationalization development; apart from establishing sister schools worldwide, the school has also collaborated with Finland’s best business school, Helsinki School of Economic, and the Louvain School of Management, Universite catholique de Louvain in Belgium, in offering cross-university dual degree programs. 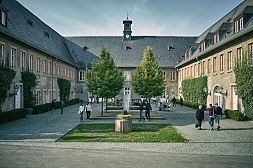 Founded in 1984, Otto Beisheim Graduate School of Management is a private business school, and the first German university to acquire the EQUIS accreditation. The school has long been committed to the internationalization development, and its reputation exceeds beyond Europe. Currently, the school has more than 170 sister schools worldwide, and its mission is to cultivate outstanding senior executives and entrepreneurs for the international business arena. The university has been honorably placed at No. 12 in UK’s Financial Time’s Global EMBA rankings 2008.